Hanuman was a Muslim, a Bharatiya Janata Party (BJP) MLC in Uttar Pradesh claimed on Thursday. The assertion comes a few days after Uttar Pradesh Chief Minister Yogi Adityanath during a rally in Rajasthan said that the Hindu god was a Dalit. New Delhi: Hanuman was a Muslim, a Bharatiya Janata Party (BJP) MLC in Uttar Pradesh claimed on Thursday. The assertion comes a few days after Uttar Pradesh Chief Minister Yogi Adityanath during a rally in Rajasthan said that the Hindu god was a Dalit. “I believe that Lord Hanuman was a Muslim. 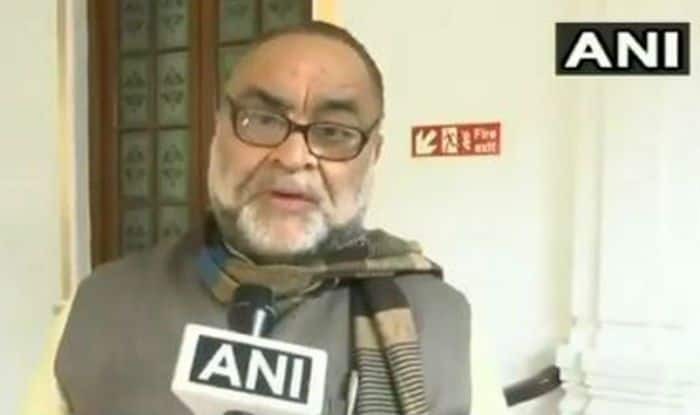 That is why the names of the people in Islam is almost similar to Lord Hanuman, whether it is Rehman, Farman, Zeeshan, Ramzan or Quran,” BJP MLC Bukkal Nawab told ANI while claiming that Muslim names sound “almost similar” to that of Hanuman. Nawab is a former Samajwadi Party leader who hails from the Nawab family of Awadh. The Congress, meanwhile, was quick to react to the BJP MLC’s statement. Deepak Singh, Congress MLC, advised the BJP to decide first to which caste Hanuman belonged to. This is not the first time that the row over the community to which Hanuman belonged to has erupted. Earlier on December 4, Bahraich BJP MP Savitri Bai Phule claimed that Lord Hanuman was “a Dalit and a slave of ‘manuwadi’ people”. “Lord Hanuman was a Dalit and a slave of ‘manuwadi’ people. He was a Dalit and a human. He did all for Lord Ram then why he was given a tail and his face was blackened. Why was he made a monkey?,” Phule had said. On December 1, Union Minister Satyapal Singh claimed that Hanuman was an Arya. His statement came a day after the chairperson of National Commission for Scheduled Tribes Nand Kumar Sai said that the Hindu God was a tribal. UP CM Adityanath, during a poll rally in Malakheda of Alwar district, had said, “Hanuman was a forest dweller, deprived and a Dalit. Bajrang Bali worked to unite all Indian communities, from north to south and east to west.” He was also served a legal notice by a right-wing group in Rajasthan, asking him to apologise for his statement within three days.